Rihanna might not be the best pop star of our generation, but she’s always been the most reliable. The prolific nature of Rihanna’s career has always been her biggest strength, with a catalogue of unrelenting hits, marking every musical stumble as a minor bump in a road to success. But it’s also been her biggest weakness: no sense of strong musical identity, a pop superstar who could exist without the music. Anti is an attempt to reshape the story of Rihanna, a statement of artistic intent that’s been four years brewing. It’s a striking breakaway from her career so far. There are no obvious singles, and certainly nothing that would sound comfortable on a dance floor. Anti seems like a deliberate act of commercial suicide in its sullen textures. Moments like the mangled guitar riff of ‘Woo’ and sparse murky production on ‘Needed Me’ feel antagonistic in design. The Tame Impala cover ‘Same Ol’ Mistakes’ is closer to karaoke than re-interpretation, but it stands out simply by having a sense of depth and complexity in its construction on an album that’s minimal and shapeless. The couplet ‘Love On The Brain’ and ‘Higher’ hark back to the classic ’60s pop, aiming for Amy Winehouse but struggling to match even a second-tier performer like Paloma Faith. As a whole, Anti is a frustrating listen. It feels scrappy and unfinished – underwritten, under-produced and under-performed. There are moments of inspiration lurking within its sludgy clutter. On songs like ‘Confusion’ and ‘Kiss It Better’ her singing voice has never sounded richer, while ‘Yeah I Said It’ and ‘James Joint’ are genuinely good songs – the former a winding dreamy ballad, the latter a lusty workout of jazzy neo-soul. But neither of those last over three minutes, consigning the best ideas of Anti into skits. Meanwhile ‘Higher’ is a vocal disaster, an amateurish hoarse strain ruining a moment of tenderness. Anti’s surprise release will inevitably lead to comparisons to Beyonce’s similarly-released self-titled album. But where Beyonce juggled feminism, sexuality and domesticity with a sense of intelligence and sophistication, Rihanna comes across at best an inarticulate victim of heartbreak, at worst a weed-puffing drinker. It makes more sense to compare Anti to another recent surprise release – Miley Cyrus’ Dead Petz album, a relatively avant-garde opus that subverts expectations to explore themes of drugs and identity. 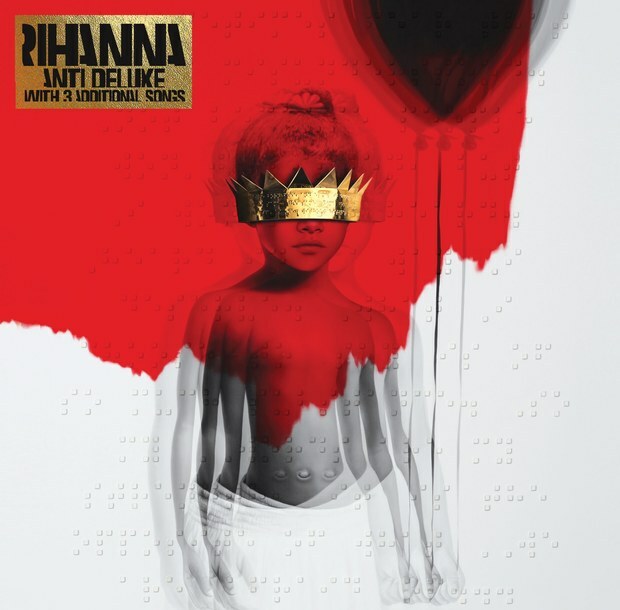 But where that album had adventurous sounds and unexpected diversions, Anti feels like a one-note slog. It’s hard to gauge who Anti is aimed at. It’s too alienating to work as a pop album for existing fans, but it’s too much of a shambles to work as an outlier of experimentalism and lend her the credibility that she seems to desire. But it is a cohesive and bold statement of vision from a figure who has always been perceived as a production puppet. The easiest thing to admire about Anti is the sense of identity it has – there’s no doubt that it’s the exactly the album Rihanna wanted to make at this stage in her career. It’s just too bad her vision seems utterly lacking in focus.